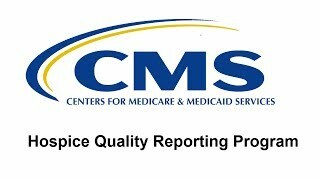 CMS anticipates that public reporting of the seven HIS quality measures on the CMS Compare website will begin sometime in the spring/summer of 2017. CMS also anticipates developing a 5 star program for hospice over the next several years building on the HIS and CAHPS data. The data demonstrates the high commitment to quality in hospices nationwide. Of the seven items collected in the HIS, all but one has a national average greater than 93%. The percentage of patients who received a timely, thorough pain assessment when the patient reported pain lagged behind with a national average of 76.3%. The Hospice CAHPS survey is reported as the national average of the "Top Box" scores, in two global questions and six multi-question domains. Top Box scores only report the percentage of respondents giving the highest possible rating per item. The global questions (willingness to recommend and overall rating of care) are standard items across all CAHPS surveys. The six domains are hospice-specific and designed to address the key components of the patient and family experience. This data demonstrates a larger opportunity for improvement in CAHPS than the HIS. Domain averages for top box scores range from a low of 72% in the domain of getting hospice care training to a high of 90% in treating family members with respect.